While Maruti Suzuki’s cars still topped the sales charts, the brand reported only a 0.2 percent growth in January 2019. So in a bid to improve sales this month, Maruti Suzuki Arena dealerships across the country are offering benefits ranging from Rs 13,000 to Rs 63,000, depending on the model. Maruti Suzuki’s entry-level hatchback, the Alto 800, is being offered with benefits of up to Rs 53,000 for the standard petrol-powered models. Variants equipped with factory-fit CNG kits come with marginally lower discounts of up to Rs 43,000. An affordable and efficient hatchback, the Alto 800 is now a bit dated compared to newer rivals like the Renault Kwid and Datsun Redigo, but still outsells them. The Alto 800’s more powerful sibling, the Alto K10, not only gets a larger motor but also the option of an AMT gearbox. Interestingly, it’s this AMT variant that has the most lucrative discounts of up to Rs 58,000. In comparison, the standard petrol-manual model is offered with benefits of up to Rs 53,000, while the CNG model can be had with discounts of up to Rs 48,000. The peppy little city runabout is quite easy to drive but is let down by a cramped cabin area. The trend on higher discounts on AMTs continues with the Celerio. The Hyundai Santro rival is offered with benefits of up to Rs 63,000 for the AMT variants, while the standard petrol and CNG models can be had with discounts of up to Rs 58,000 and Rs 48,000, respectively. The Celerio may not look particularly nice, but it is a practical hatchback that shares its smooth petrol motor with the Alto K10 and Wagon R.
Essentially a beefed-up Celerio, the Celerio X gets crossover styling cues to give it a unique look. Under the hood, the car runs the same mechanicals as the standard car including the AMT gearbox. As with the Celerio, the Celerio X AMT is offered with benefits of up to Rs 53,000, while the manual variants are offered with marginally lower discounts of up to Rs 48,000. Now into its third generation, the new Swift remains a strong seller for Maruti Suzuki. The rival to the Hyundai Grand i10 and Ford Figo comes with benefits of up to Rs 33,000 and Rs 43,000 for the petrol and diesel models, respectively. Even more practical and better equipped than the previous-gen model, the new Swift builds on an already successful formula. The Swift’s compact sedan sibling sees benefits and discounts of up to Rs 58,000. While the Dzire has been on sale unchanged a little longer than some of its competition (like the second-gen Honda Amaze and the Ford Aspire facelift), it is still the highest-selling model in its segment and our pick of the compact sedans on sale in India. 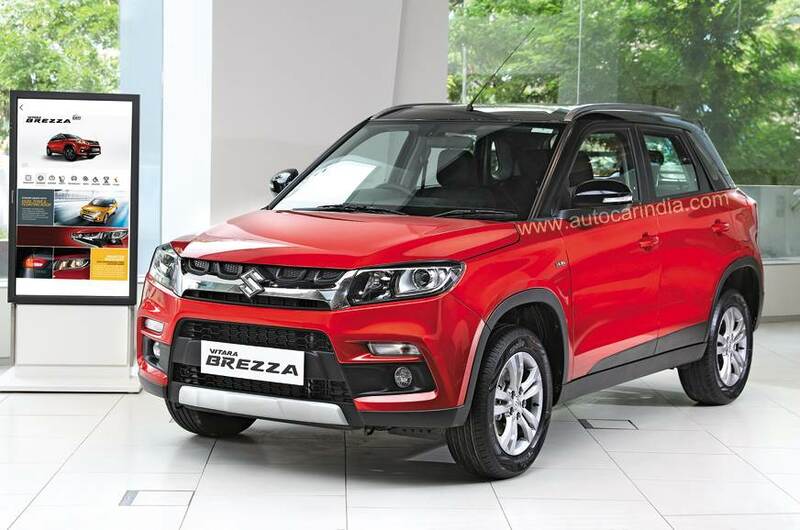 Maruti Suzuki’s largest selling UV, the Vitara Brezza compact SUV, comes with benefits of up to Rs 45,000. The spacious and practical model suffers slightly when it comes to equipment and powertrain when compared to competition like the Tata Nexon, Ford EcoSport and the upcoming Mahindra XUV300. The ageing Omni is one of the models that Maruti Suzuki will soon discontinue as it does not meet, and will not be upgraded to meet, upcoming safety norms. In order to clear stocks of the MPV, Maruti Suzuki Arena dealers are offering significant benefits of up to Rs 33,000. The Eeco’s USP is that it is the most affordable way to transport more than five people. The current model will be replaced by an all-new vehicle (scheduled to arrive in showrooms before the end of the year) that will meet the more stringent safety norms that’ll come into effect in the coming months. Maruti has extended benefits of up to Rs 13,000 on the Eeco.